Below you fill find all funeral homes and cemeteries in or near Killeen. Suburbs of Killeen: Harker Hts, Harker Heights, Chaffee Village, Clear Creek, Fort Hood, Maxdale, McNair Village, Montague Village, Youngsport. 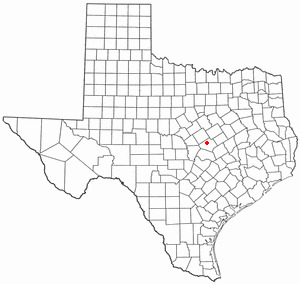 Killeen is also known as: Bell County / Killeen city. Their current mayor is Mayor Jonathan Okray. Zip codes in the city: 76540, 76541, 76542, 76543, 76544, 76547, 76548, 76549.
e purchased from one of the local funeral shops we partner with. Some of the notable people born here have been: Tommie Harris (american football player), Robert S. Kimbrough (astronaut), Juaquin Iglesias (american football player), Kevin Ellis (skeleton racer), Andrew Hudgins (poet and author), Danny! (record producer and musician), and Denise DuBarry (actor and businessperson). Killeen is a city in Bell County, Texas, United States. According to the 2010 United States Census, the city's population was 127,921, making it the 22nd most populous city in Texas. It is the "principal city" of the Killeen–Temple–Fort Hood Metropolitan Statistical Area.Killeen is directly adjacent to the main cantonment of Fort Hood, and as such its economy heavily depends on the post and the soldiers (and their families) stationed there. It was revealed by The Herald on November 28th, 2018 that Imogene Josephine Fennell (Talley) perished in Washington. Ms. Fennell was 88 years old and was born in Killeen, TX. Send flowers to express your sympathy and honor Imogene Josephine's life. It was reported on October 18th, 2018 that Arthur Harold Ley passed away in Killeen, Texas. Ley was 73 years old and was born in Dubuque, IA. Send flowers to share your condolences and honor Arthur Harold's life. It was revealed on September 2nd, 2018 that Joe E Chumbley passed on in Killeen, Texas. Chumbley was 85 years old and was born in Engle, KY. Send flowers to express your sorrow and honor Joe E's life. It was disclosed by Mountain Messenger on July 20th, 2018 that James Anthony Sizemore passed away in Greenbrier Co, West Virginia. Sizemore was 49 years old and was born in Killeen, TX. Send flowers to express your sympathy and honor James Anthony's life. It was reported on June 24th, 2018 that Connie Odessa Evans passed on in Killeen, Texas. Evans was 71 years old and was born in Des Moines, IA. Send flowers to express your sorrow and honor Connie Odessa's life. It was disclosed on February 21st, 2018 that Peggy Verdell Wainscott (Green) perished in Killeen, Texas. Ms. Wainscott was 97 years old and was born in Gibbon, NE. Send flowers to express your sorrow and honor Peggy Verdell's life. It was written by Eau Claire Leader-Telegram on January 25th, 2018 that Carol Froehlich (Peterson) perished in Eau Claire, Wisconsin. Ms. Froehlich was 65 years old and was born in Killeen, TX. Send flowers to share your condolences and honor Carol's life. It was disclosed by Chippewa Herald on January 24th, 2018 that Carol Froehlich (Peterson) perished in Eau Claire, Wisconsin. Ms. Froehlich was 65 years old and was born in Killeen, TX. Send flowers to share your condolences and honor Carol's life. It was written on January 3rd, 2018 that James Owen Wilkins passed on in Springfield, Missouri. Wilkins was 60 years old and was born in Killeen, TX. Send flowers to express your sympathy and honor James Owen's life. It was noted by Register Herald on December 14th, 2017 that Daniel Henry Diehl died in Beckley, West Virginia. Diehl was 63 years old and was born in Killeen, TX. Send flowers to express your sorrow and honor Daniel Henry's life. A large number of military personnel from Killeen have served in the wars in Iraq and Afghanistan. Killeen is a city in Bell County, Texas County, Texas, United States. About 780 people lived in Killeen by 1900. In addition to shaping local economic development after 1950, the military presence at Fort Hood also changed the city's racial, religious, and ethnic composition. No blacks lived in the city in 1950, for example, but by the early 1950s the town had added Marlboro Heights, an all-black subdivision, and in 1956 the city school board voted to integrate the local high school. The official website for the city of Killeen is http://www.killeentexas.gov. Listing all funeral homes in Killeen, Texas so you can easily send flowers to any location (same day delivery) or find any funeral service. Need flowers delivered to a funeral home? It's easy to find a KILLEEN, TX funeral home from this list and call SHARON'S FLORAL AND UNIQUE GIFTS. We work with local florists and flower shops to offer same day delivery. You will find budget sympathy flowers in Killeen here. Our funeral flowers are cheap in price but not in value.